This is a 2 part article. The first 7 points are the tips for preparing the exposed brick walls and the other 8 points are some stunning ideas for the actual decor and design of the brick walls. If you want to jump straight to the ideas click here. If the industrial interior design style has an interesting appeal to you, perhaps you’ve considered the idea to have an exposed brick wall. There are many creative ideas that can rely on this type of wall to create a featured area in your home. 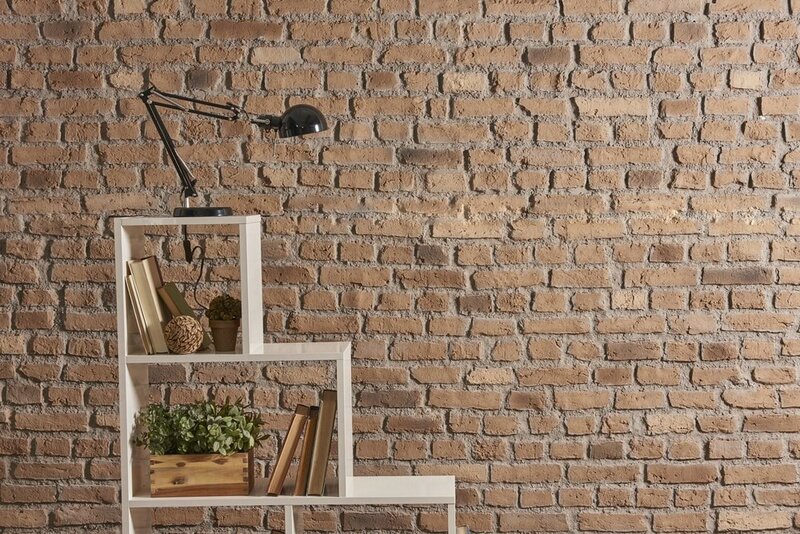 Not everyone is lucky enough to strip away some drywall and immediately come across a stylish brick wall that you can incorporate into your industrial or rustic aesthetic. If you’re willing to go through the process of exposing the brick wall there are many aspects that you have to consider. 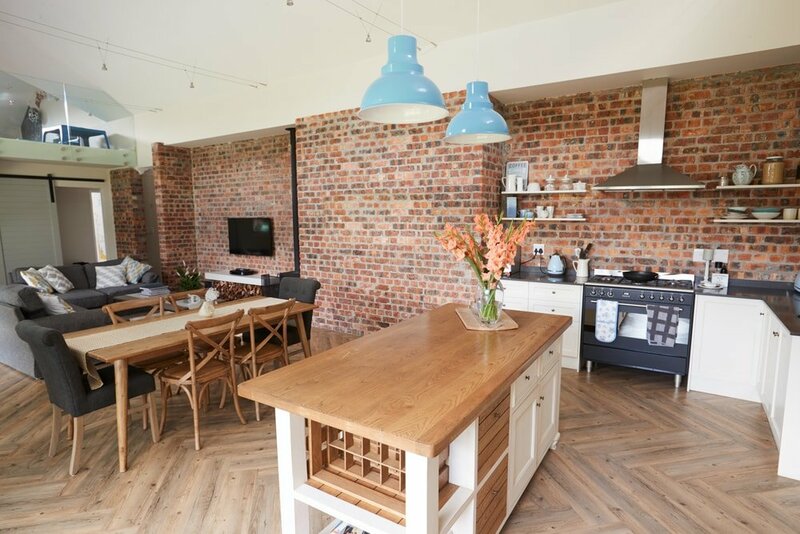 We’ll go over some important tips to ensure that you’re creating an exposed brick wall correctly. It’s not always such a straightforward process and, as we’ll soon discover, there are some potential drawbacks to the process. The first step involves selecting the best wall to expose. This should be easy for most people, but you need to be sure of your choice as this wall will become an important part of the room. Remember that exposed brick walls are supposed to be able to create a more dramatic statement. There are other considerations to take into account as well. For example, it’s essential to go for a wall where there are no windows or doors. It can take extra time to deal with edges and you’ll most likely have to deal with some finishing repairs after the job’s over. Another tip is to check the number of radiators and sockets. If there’s a radiator there you should consider adding a metal cover that can match the industrial look of the exposed brick wall. Power cables as well should be neatly tucked in somewhere out of sight. Now that you’ve selected the best wall to reveal the brickwork, it’s time to go through some preparations. Before we go on, keep in mind that you might not be satisfied with the amount of work required to get through this process. There’s a considerable risk that the revealed brickwork could be disappointingly full of cracks and patches. Skip the next steps up to the alternative methods that allow you to achieve a similar visual effect, even though they’ll most likely deliver less satisfying results. The biggest problem with revealing an exposed brick wall is how you never know what to expect. Assuming you’re ready to take the plunge, let’s first figure out if there’s brick back there in the wall. Otherwise, all this work would be in vain. Drill a pilot hole and then reveal a small site of roughly thirty square centimeters. This will be useful to check the quality of the bricks. If things look fine, it’s a good idea to proceed, but if you’re not satisfied with the look of the bricks, it’s recommended to stop right there. Stripping the wall to get to the brick part requires some safety precautions. There will be a lot of dust that can get in your eyes or your lungs. That’s why we recommend equipping goggles and a mask. 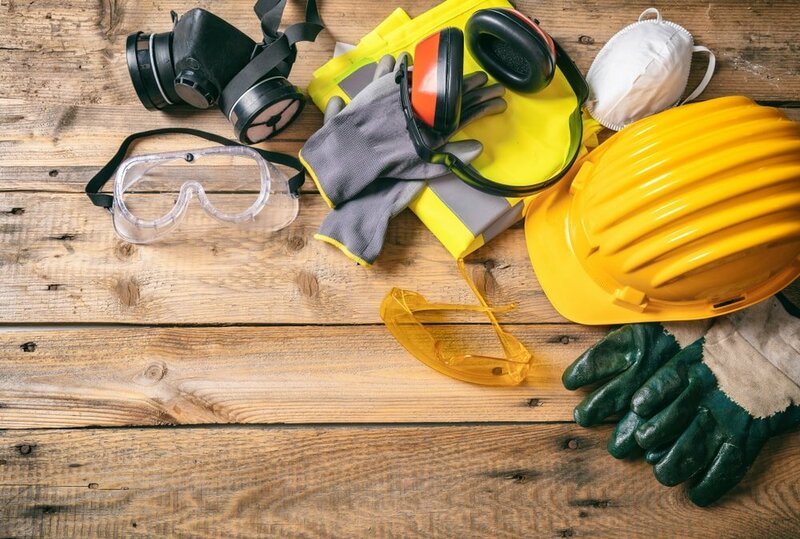 A good working outfit complete with gloves should allow you to get the job done more effectively. The process can be damaging to the rest of the pieces in the room or to the floor. For this reason, we recommend adding some strong plastic sheeting everywhere, including on the furniture. Place cardboard right next to the main working area. You will need to deal with the removal of a significant quantity of old plaster, so it’s better to come prepared with some buckets. 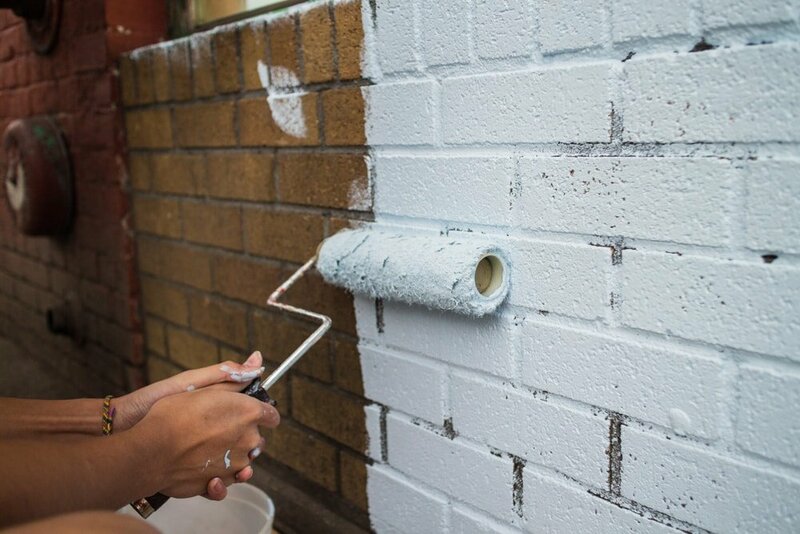 Exposing brick walls won’t be a simple task for everyone. It’s also a time-consuming process which requires a lot of patience to get it right. Even so, the final result will offer you a very rewarding feeling. It’s important to think of this job as an archeology project instead of using too much brute force. The wall needs to be treated carefully because the last thing you need is some more dust and a bad finish. Ideally, you need to work from the test area and pay close attention to hit the wall in a precise manner. The plaster comes off more easily if you rely on a putty knife. Remember that not all the parts in the wall will be simple to deal with, so that’s why it’s important to remain patient and persistent even if things get a little difficult. Even when you finish exposing the wall, there’s still plenty of dust remaining. In this step, we’ll be looking to clean the wall to let its raw style take the spotlight. With the help of a sponge, you can remove the remaining dust. Take each brick and clean between the gaps using a water mixture with some soap and salt added in equal parts. Don’t forget to rinse with clean water after you let the paste sit for a few minutes. For a thorough cleaning job, consider using a wire brush. 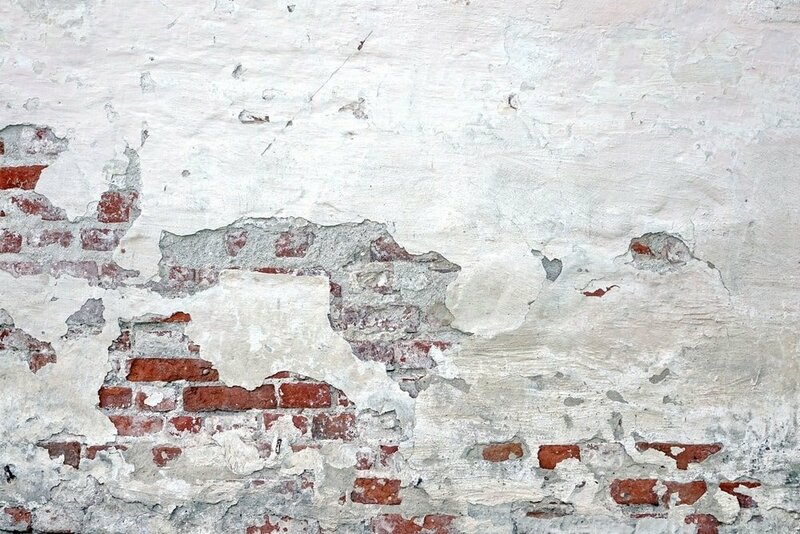 Any remaining plaster that’s tough to remove might require some treatment with brick acid or a sandblaster. While it’s tempting to take a look at the resulting exposed brick wall and consider the job finished, there’s still one more step that needs to be done. Even if the wall looks sturdy now, it can become dirty and moldy in the long-term. The best way to care for it is by applying a sealant that’s been specially designed for this purpose. Here’s a great one from Amazon which protects the brick wall against humidity. Is a real exposed brick wall project too difficult or simply not possible for your home? Don’t worry because there are some alternative methods you could still try to get an approximate industrial look. 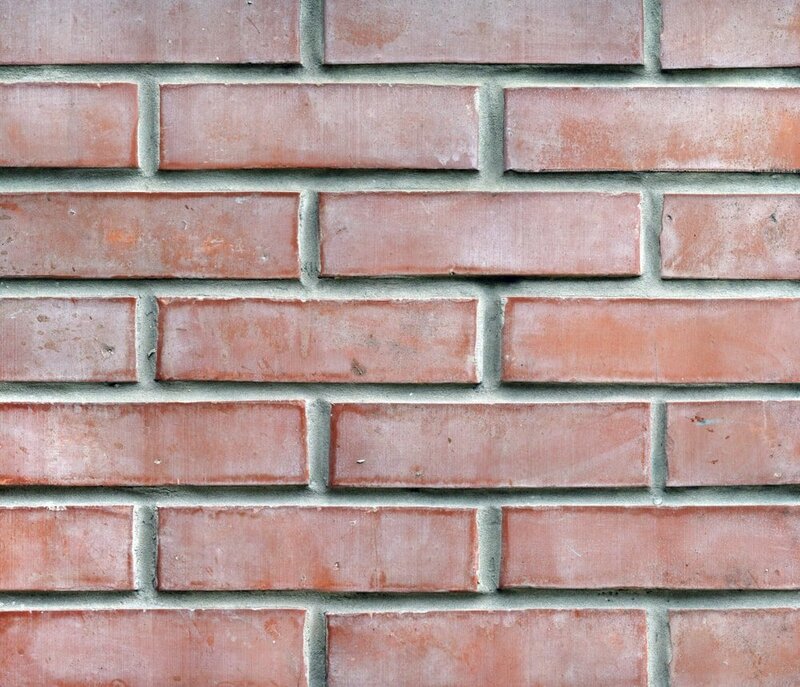 Brick cladding represents a solid solution that allows you to obtain a surprisingly great aged brick wall effect. Check out this website which offers this complete service with a selection of different styles of reclaimed bricks. A much cheaper option is to simply get a brick print wallpaper. 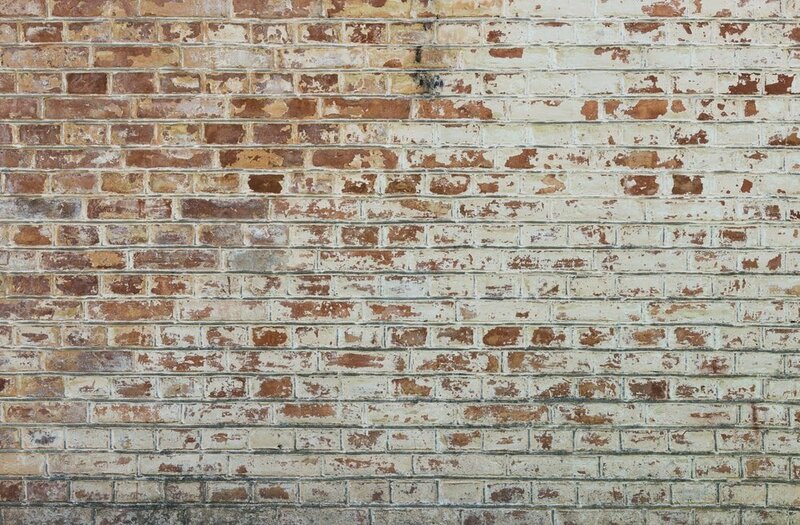 There are some realistic-looking models out there that are very easy to apply anywhere you wish to recreate the exposed brick wall look. Take a look at this self-adhesive brick print wallpaper from Amazon which offers two color choices – grey and red brick. Now it’s time to look at some more creative ideas to decorate your exposed wall interior. 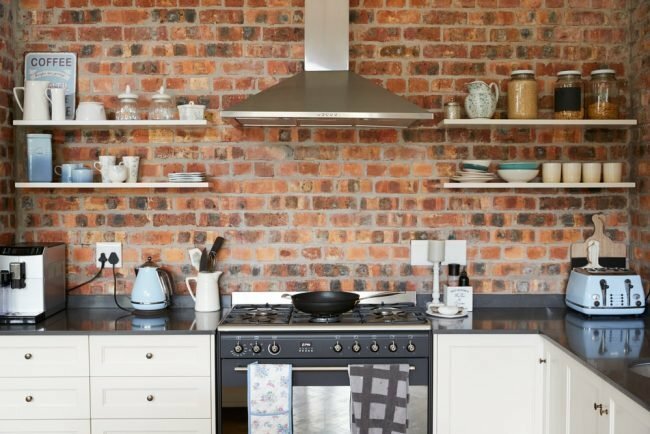 We’ll explore various tricks you could try to accent the wall for a more industrial look or some of the most interesting uses for exposed brick walls. Your book collection can make great use of the beauty of your new brick wall. 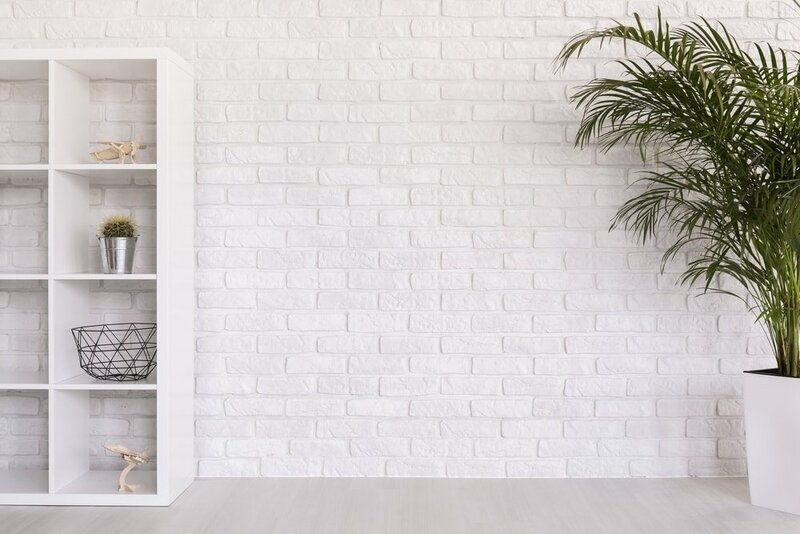 Instead of going for a bulky bookcase that covers the brick, choose open-backed shelving that allows you to benefit from the stylish background. 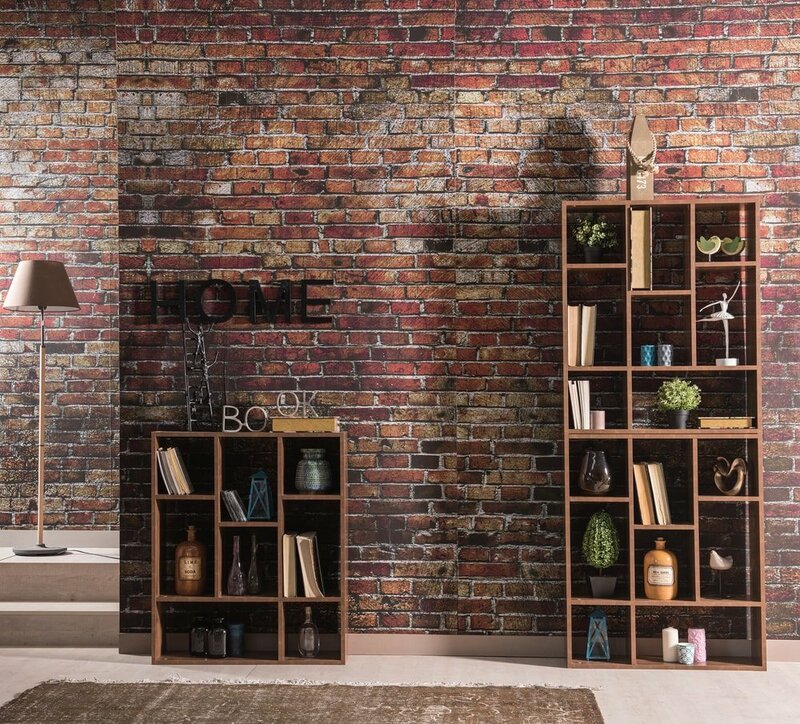 As a bonus, you can select a model that fits the industrial style such as this wide bookcase from Amazon. This is a sturdy unit that offers a modern industrial flair thanks to its black metal frame and stylish shelves. It’s sure to look amazing when contrasted with an exposed brick wall. Continuing on the idea of contrast, you should consider adding a splash of color to create a more dramatic look for your exposed brick wall. This can be achieved through some colorful accents. 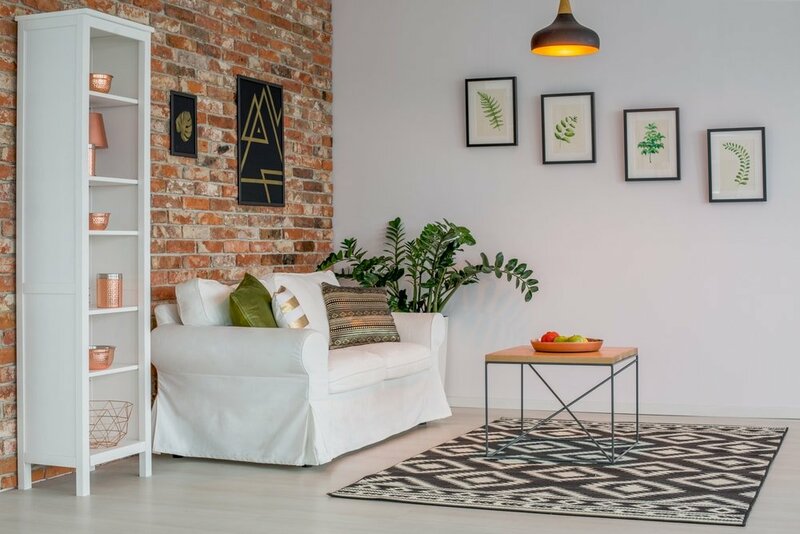 It could be a small detail like a bold artwork or you might place a vibrant furniture piece that contrasts well with the aged look of your brick wall. This is easy to do as you don’t really need to get lots of pieces to make a statement. A single imposing piece should be able to create a stunning impact by adding a pop of color to the exposed brick wall. A few potted plants can add some much-needed greenery that pairs nicely with the raw look of the exposed brick wall. Some elegant green vines can act as superb decorations against the orange of the brick wall. It can take your mind to the look of a stone castle wall covered in ivy plants. One great combination for decorating your brick wall is to add dark wood pieces. The natural beauty of the wood pairs well with the rustic look of your exposed wall. Surround the bricks with wood accents such as ladders and headboards. 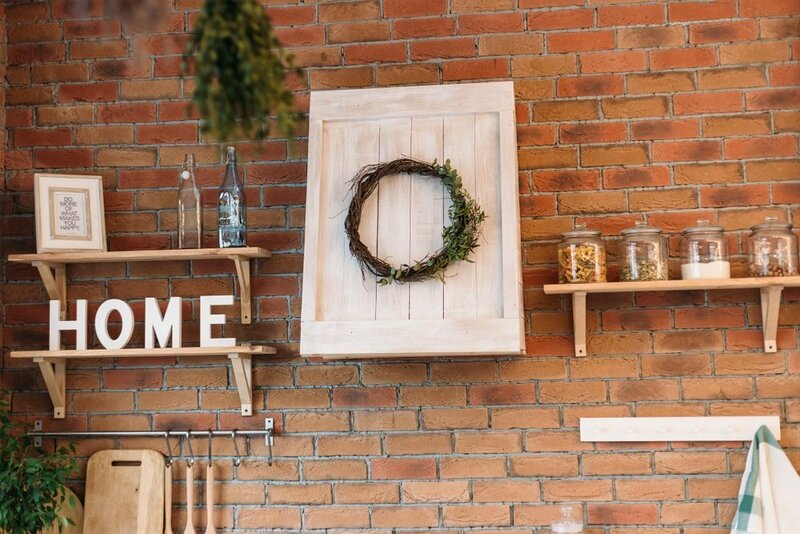 If your home embraces certain interior design styles such as farmhouse and Mediterranean, it’s recommended to go for heavy wooden pieces. The size of the accent pieces matters when you’re decorating an exposed brick wall. By leaning large elements like an oversized mirror against the wall, it can result in an interesting visual effect. Here’s a stylish floor mirror found on Amazon that would work well. 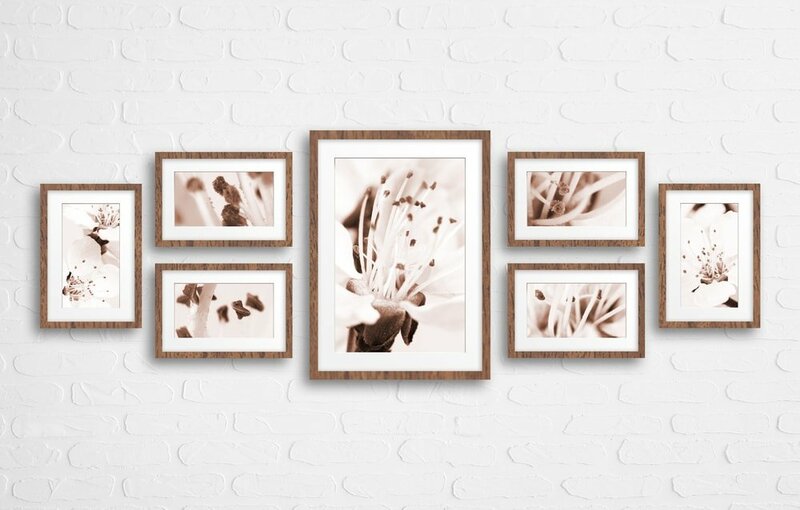 Try the same thing with large picture frames. For extra depth you could position some small cabinets or other similar furniture pieces against the larger accents. One sure way to create an even more dramatic effect from the exposed brick wall is to paint it. Color plays an important role when it comes to the vibe of the room. There are multiple options to choose here and it depends on your personal preference. For a more distressed look similar to an industrial warehouse you could go for a mix of colors. In case you wish to keep a more uniform look, try going for a single color whether a neutral tone or a more daring shade.Remember that you have to be certain of your decision as painting the exposed brick wall takes a bit of effort and it’s not easy to undo. A somewhat unexpected choice if you wish to paint your brick wall is to go for a black wall. This is the kind of beautiful statement that gets the conversation going with your guests. White or gray tones can fit nicely in the kitchen if you wish to retain a more modern look. More vibrant hues could be a better match for the living room where they can brighten up the room. If you feel like the exposed brick wall doesn’t make enough of a statement by itself, perhaps creating a stylish gallery could be just what’s needed. 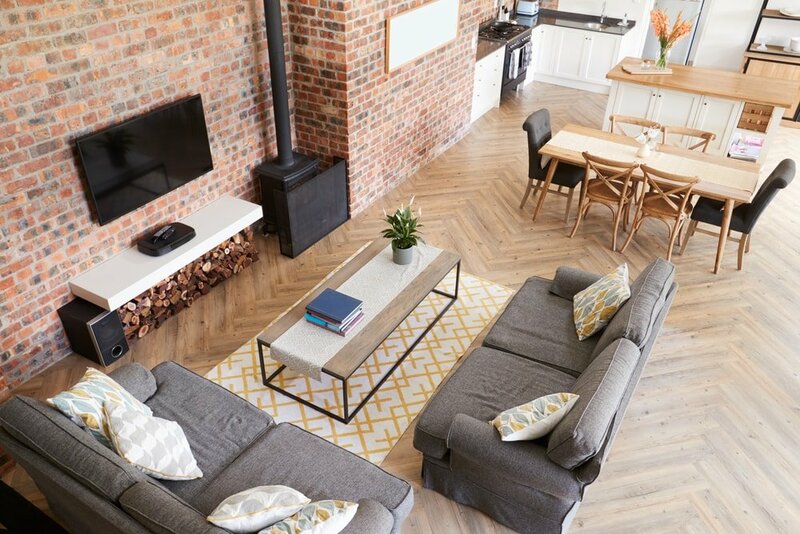 Embellishing the brick wall with some captivating artworks and photos is a good idea if you’re looking to add an eclectic touch to an industrial home. 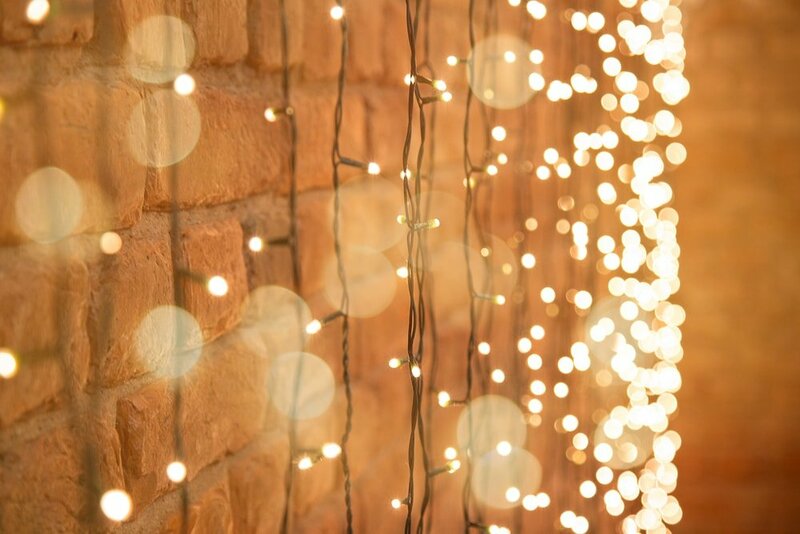 For a more whimsical effect, try covering the exposed brick wall with a string of lights. We recommend going with Edison light bulbs if you wish to match the industrial aesthetic. The bedroom, in particular, can benefit from a warm lighting effect provided by these bulbs. You will feel more relaxed thanks to the cozy vibe of these lights.